Agneepath released at a time (1990) when the media was convinced that Amitabh on his way out, right after two high-profile films by two Midas-touch film-making houses (Manmohan Desai and Prakash Mehra) that did badly (Toofan and Jaadugar). Prior to that, the jury was divided on how well Shahenshah actually did and Ganga Jamuna Saraswati was liked only by die-hard fans. He had an off-beat foray (Main Azaad Hoon) in between as well, which - despite a brilliant performance - did not do too well. It released at a time when Amitabh was clearly ageing, when people wanted him to push the envelope a bit but rejected the one off-beat film he did. In Agneepath, Amitabh did not just push the envelope but tried to tear it into little pieces and throw it away! For starters, it was the first time a mainstream Hindi film had a hero whose age was declared to 36 years (9 months, 8 days and 16 hours - to be precise). After so many years of gasping, wheezing, potbellied heroes prancing around in college, this was quite a stunner. And, it was the first time Amitabh Bachchan discarded his traditional baritone for a rasping sort of voice. This was like getting Sachin Tendulkar to start playing hockey. But like Sachin who would probably become the leading goal-scorer in hockey as well, Amitabh did an amazing job of doing the voice, which was said to be modeled on Mumbai don Varadarajan Mudaliar. By the way, does anyone know how Amitabh's character got the rasping voice in the film? No? Well, a pivotal scene in the film was when the young Amitabh had to single-handedly carry his father's dead body for cremation (as none of the villagers were willing to help the disgraced schoolmaster). And in the straining, the kid's vocal chords got damaged. Okay - I am guessing because this is never said in the film but Manjunath's cute voice at the beginning of the film gets raspy right after the body-pulling scene. The story was hardly anything novel - about a kid growing up to take revenge for this father's framing and murder. The names - funnily enough - were. Amitabh was Vijay Dinanath Chavan (which is pronounced as Chauhan through out the film), probably the Maratha scion protecting his city (or at least the underworld) from the foreign hand (Kancha Cheena, played by Danny Denzongpa), the South Indian encroacher (Anna Shetty, played by Dilip Shirke), the Muslim don (Usman, played by Avtar Gill) and the man of vague origins (Terylene, played by Sharat Saxena). In between, there was a romantic-comic track helmed by Krishnan Iyer M.A (strangely, from Kerala University) - played by Mithun Chakraborty in a Filmfare Award winning role but I digress. Why do I like Agneepath? It had dynamite dialogue. Period. No other reason. 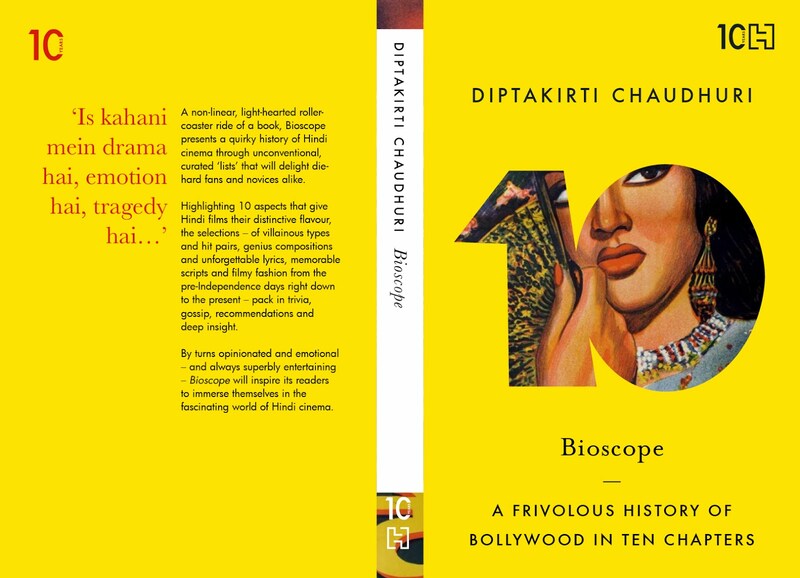 After Coolie and Sharaabi (both of which were in 1982/3) and to some extent, Mard, we hadn't seen an Amitabh film which had several blockbuster, hair-raising scenes with memorable, repeat-after-ten-years dialogue. Shahenshah had that one line ("Rishtey mein to main...") but otherwise, they had pretty much buried the dialogue-writer (not to mention, the screenplay guy)! Actually, very few Amitabh films have such a wealth of potent dialogues as Agneepath. And the dialogues started even before Amitabh appeared on screen. The eponymous poem is one written by Harivansh Rai Bachchan - which is the opening dialogue of the film - is a beautiful one and I remember only the last part it. Yeh mahaan drishya hain, chal raha manushya hain / Ashwa shwet rakta se lakpath lakpath lakpath / Agneepath agneepath agneepath. And the climax replicates these lines. Almost literally. 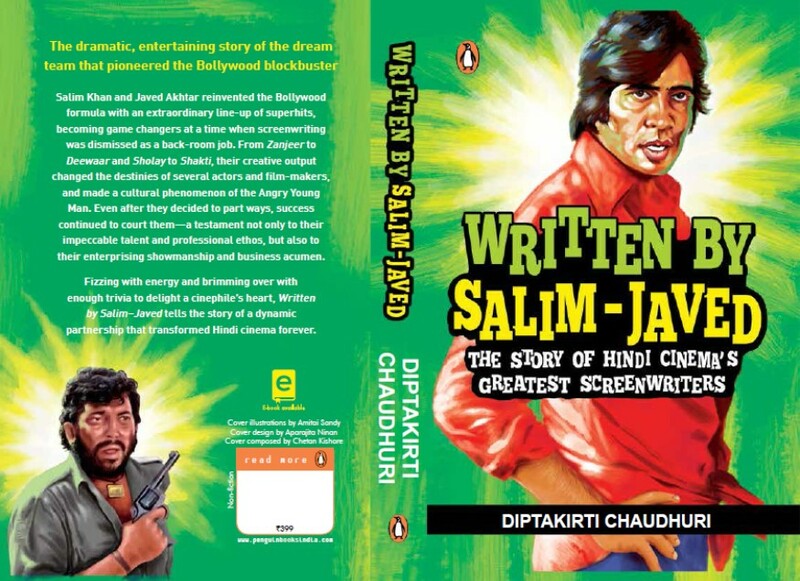 Also, the famous 'Naam Vijay Dinanath Chavan...' dialogue is actually started by the kid Vijay in front of Inspector Gaitonde and then as the inspector crosses over in front of the kid, the adult Amitabh is revealed in a rain of coins and thunder of whistles (at Menoka cinema of Calcutta). And the scene ends with the even more explosive (or melodramatic, if you are not an Amitabh fan) "Aaj shaam chhe bajey maut ke saath mera appintment hain. Appintment - English bolta hain." In a fantastic reprise of a dialogue, which Deepak Shirke says when Vijay is a kid, he barges into the slum area where the don stays and says, "Dekho. Socho. Samjho. Yeh ladka aaj chingaari. Kal bada hokar hum sab ko zinda jala diya toh kya karengey?" And proceeds to burn him alive! When Amitabh walks into his den after recovering from a near-fatal attack on him, the phone rings. The guy at the other end asks who he is and hearing the name, says - "Tumko toh ludkane ke waastey..."
Amitabh growls back, "Yeh chhe foot ka body ludkane ke liye char inch ka goli kum pad gaya. Maloom?" To describe a police inspector's loose morals, he tells the Commissioner - "Pandrah sau rupiyah ki pagaar mein ghar nahin chalta toh imaan kaise chalega, Gaitonde saab?" To explain the secret of his success - "Is duniya mein tarakki karne ke liye naa bolna bahut zaroori hain..."
There is one scene which has no great lines but he transforms with his personality. He walks into his bosses' den (who were planning to kill him) and says, "Hum ko ludkane hain to ludkao. Hum khayega. Tumhara goli seene pe khayega. Hum mar gaya to yeh kursi bhi tumhara, yeh dhanda bhi tumhara. Lekin, main bach gaya toh..." He laughs ominously and turns to leave. Just as his bosses sighed in relief, he turns around sharply, takes the gun out of his belt and throws it on the table. Then says, "Hamare tumhare ladai mein jeet iski nahin, iski (points to his forehead) hogi..."
Apart from that, there are several scenes in the film that takes the Amitabh myth to epic levels. The best example is one where Amitabh reaches Mauritius to meet Kancha Cheena and his entire journey from the aircraft to the yacht is filmed very flatteringly (from low angles, making him look like a giant). Eventually, a grenade is lobbed on his yacht - which drops right at his foot. As Amitabh looks at it almost amused, the yacht blows up. Kancha Cheena pops a bottle of champagne to celebrate. Amitabh emerges out of the azure sea. Walks on to the beach and says, "Waqt se pahuchne ka mera purana aadat hain. Aaj thoda late hone ke liye maafi chahta hain. Kissi ne mere upar keechad uchhalne ka koshish kiya. Isliye maine use pani se dho dala..."
Oh - he, then, takes off his wet jacket and puts it on the bikini-clad Archana Puran Singh. "Andar chale jao. Sardi lag jayega." Bloody cool! There is the scene, where he takes four bullets and collapses splendidly. And the subsequent scenes where takes out his adversaries one by one and drops the bullets at their dead bodies. And another scene, where he runs - with a sword in his hand - through a mile of slum lanes to save his sister. Incidentally, his chief henchman in the film is Pradeep Rawat (who eventually had the distinction being the only villain to have a film named after him)! And, the final scene where he literally goes through a 'path of fire'. The entire scene - which starts with his running form silhouetted against the setting sun and culminates in his running through fire, getting riddled by bullets to pulverize Kancha Cheena - should figure not in examples of great cinema but in the annals of devotional literature, since only God in his various avatars has been eulogised in such a manner. Look, I could go on. But for how long? Do me a favour. Buy the DVD and watch it. I promise it will be worth it. Every penny of it. Think about it. What other option do you have? Watching De Dhana Dhan? In Anurag Kashyap's edgy Gulaal, a college election takes on epic importance. Hanging in balance is not just the lakhs that can be siphoned off from the college festival fund but how the winner would impact the separatist movement for Rajputana. Pitting the volatile Ransa (Abhimanyu Singh in a short but brilliant role) against the steely Kiran (Ayesha Mohan), the entire build-up and conduct of the election is played at hurtling pace. The campaigning, the brutal - and abrupt - murder of a candidate, fishing out of a replacement and finally, the subtle rigging to swing the results. All these are paced breathtakingly and filmed in a jagged, realistic style. Equally jagged are the edges of Omkara - where no election is actually shown but the undercurrent of power-broking politicians, their muscle-men, the boisterous celebrations, the sharp sloganeering are all represent the colours of UP elections like very few films in recent times. To go back a few decades, Aandhi still remains an iconic film depicting Indian elections in a partly realistic, partly air-brushed glory. With the strand of white in her black hair, Suchitra Sen will always be the on-screen Indira Gandhi despite hectic clarifications that the character was based on Orissa Chief Minister, Nandini Satpathy. An initially Bohemian daughter of an established and overbearing politician fell in love and married a hotelier. Unable to take the pressure of her father's political ambitions and being a wife, she walked out of the marriage and the town. She came back several years later to fight an election and rekindled her love for the estranged husband. All hell broke loose as her rivals started to dig up skeletons and scandals around this 'affair'. People tend to remember this film, only for the absolutely stupendous soundtrack but the entire electoral process is reasonably well-sketched - including a satirical song on politicians returning to constituencies every five years. What a pity it was the weakest song of the album! It may have been the elections for only a village cooperative, but Shyam Benegal infused it with the emotion that normally gets associated with elections in India. Manthan saw the upper-caste Sarpanch (Kulbhushan Kharbanda) getting pitted against lower-caste Naseeruddin Shah in an election to manage their milk cooperative. Such an unequal battle was catalysed by the modern-thinking Dr Rao (Girish Karnad, playing Dr Verghese Kurien's role) and given the social churning that was brought about, the Sarpanch lost this first election he contested (having won the previous ones uncontested). I remember a beautiful scene after the results are declared where boisterous celebrations break out among the lower castes after the results are announced and Kulbhushan Kharbanda corners Girish Karnad in an ante-room. He pleads Karnad to go back and say that it was the Sarpanch who had won, immediately after which he would resign the post. He could do without the post, he said, but not live with the ignominy of losing to an Untouchable. In recent times, one of the most politically charged films has been Yuva. Set in the volatile politics of Bengal, the only jarring note is one Bengali politician (Om Puri as Prosenjit Bhattacharya) speaking in a comic Bengali accent while the heroic activist (Ajay Devgan as Michael Mukherjee) and his cohorts spoke in perfect Hindi. But the Bengal countryside, the rural elections, the strong-arm tactics of the ruling party and the idealism of college theories are brought about vividly. After a maze of depressing violence and machinations by the villains, when the three young men walked into the West Bengal assembly to become three spots of blue denim in a sea of white dhoti-kurta, one did feel a frisson of happiness at the obviously unrealistic situation. When I first saw the film, I wondered why was it so obviously set in Calcutta? Then I realised, where else? Two of the most satisfying election films - for me, at least - are Coolie and Inquilaab. Needless to say, they were also the most unrealistic. But then, if you want realism, you might as well go and watch Bigg Boss. Also, the elections were only a small part of the overall package of the two films in true tradition of all Amitabh films of the early-80s (where everything, except Amitabh himself, was a small part of the overall package). Coolie released in 1982, when Amitabh Bachchan had no stated ambitions of entering politics. Inquilaab released in 1984/5, when he was already in politics or at least, had announced his intentions. But in both films, he metamorphoses into a Messiah for the Masses who wins in a landslide (but, of course!) and promises salvation for the unwashed millions. I have often wondered that the political entries of Amitabh in both films are so unconnected to the initial storylines, they may well have been written half-way through the shooting. Or maybe, on the morning of the shoot! In Coolie, Iqbal goes from a porter to a trade unionist (for other porters) to organiser of strikes to an election candidate - who then gets blackmailed to almost withdraw by villains (who have kidnapped his mother). In Inquilaab, the transformation is even more dramatic. Amarnath starts off as a blackmarketer of tickets. He becomes a police officer. He is promoted to ACP in 3 minutes. He kills a dreaded smuggler - Khoya Khoya Attachi - after which he is made the leader of Garibon Ka Party. He wins the elections in a landslide to become the Chief Minister. Whew! What he does at his first Cabinet meeting is something I dare not repeat. As an aside, it would be cute to mention a film called Chatpat Chunmun - which I saw one afternoon several years ago on Doordarshan. It was the story of a little girl, Chunmun, who was constantly being ignored - and bullied - by four boys in the neighbourhood. When they boys decide to hold an election to choose their leader, Chunmun is expected to cast the deciding vote (since each of the four boys would vote for himself). How Chunmun converts this voting into a coup for herself forms the basis of a very enjoyable film (at least for the kid that I was then). Produced by the National Centre of Films for Young People, the film was narrated as a flashback of a lady and the voice-over was done by the body's then-Chairperson, Jaya Bachchan. One recent film I missed was Chintuji. Rishi Kapoor played a movie star, who arrived at his ancestral village to contest the elections and got embroiled in many complications. By all accounts, it was a cute film that poked fun at two of India's holiest cows - film stars and politicians. Also, two very interesting films on contemporary politics are coming up - Prakash Jha's Rajniti and Ramgopal Verma's Rann. The first one has Katrina Kaif playing the young widow of the scion of a political family. She has gone hoarse trying to explain that the role is not based on the life of Sonia Gandhi but her point would have been a little easier to digest if she hadn't worn those cotton saris and styled her hair a little differently. In what could be his redemption from the debacle of Agyaat, Darling and Aag, RGV has crafted a film on how media changes the equation in present-day politics. Starring Amitabh Bachchan as the idealistic media baron and Paresh Rawal as the unscrupulous PM-in-waiting, the acidic anthem and the fantastic ensemble cast has me waiting for it, quite breathlessly. The election scene is sure hotting up! So, why this sudden voting-related post? That is - dear reader - to entice you to go to this page and politely ask you to vote. Given the quality of the other nominees, I cannot possibly ask you to vote for me. But indeed, you should vote. Already, there has been a promise of a National Bloggers Employment Guarantee Scheme. Also, of a Rum Rajya. Not to mention, promises of a stray television for votes! Coming from the eastern part of the country, all I can offer - in established traditions of my state - is a B2B day (Bandh to Blog), where the Monday or Friday contiguous to the Republic Day weekend will be declared a national holiday for everyone to stay at home and blog! And next year, we will have a billion nominees for Indibloggies. Till then, vote for me! There, I said it. I was lying about voting for the more worthy nominees! With no mutton and no Youtube, there would have been no need for Sundays. And of course, that I have a hyper-active son means that I need a Saturday as well! All of Sunday, I searched a million things on Youtube and decided to compile some of the best medley songs in Bollywood. You know, the ones in which there is either a college competition or a family problem that can only be solved with the help of songs - either original or parodies of Bollywood classics! As I had mentioned briefly here, I have a great weakness for such medley items and felt compiling all my favourite songs in one post is a very constructive way of spending this Sunday. My wife feels that I should have taken my trousers for alteration but don't listen to her! I didn't. Q: How do you say 'I love you' to the man you love? Q: No, I mean if he is sitting in a crowd? Well, one of the biggest problems of staying in a joint family and having a Satyanarayan pooja at home (which is attended by about 840 women in ghagra-cholis) is that you can't say 'I love you' to your boyfriend. However, that problem can be easily solved. All you need is a resourceful Manohar bhaiyya and a encyclopaedic knowledge of Hindi film songs. And it covers the whole gamut of Hindi music from Jewel Thief to Himmatwala, from Dus Numbri to Sharaabi, from Prince to Mr India. To my mind, this song was the biggest draw of the film and it was a very satisfying mix of nostalgia, topicality and Huma Khan (in what was her - probably - only non-B-grade role)! Buoyed by the tremendous success of MPK and the horrendous success of Hum Aapke Hain Koun, Sooraj Barjatya made Hum Saath Saath Hain, which gave millions of viewers diabetes and hundreds of distributors bankruptcy! The only bright spot of this film is the point where Tabu (can't believe she also did The Namesake!) enters Saccharine household and she is introduced to the entire clan through a series of songlets performed by Saif & Karishma and introduced by Ajit Vachani & Himani Shivpuri. And in a completely immodest gesture, there are at least two songs that are drawn from MPK and HAHK! HSSH is the most re-run movie on Indian television, having made - by now - several times in television royalties than theatrical receipts. And by some cosmic twist, every single time I surf through Zee Cinema where it is usually running, this is exactly the sequence that is on. Which makes it my single-highest watched sequence in Hindi film history. Gosh- what hyperbole! What did you do as a kid when an irate neighbour confiscated your football? You pleaded with her. You asked your parents to buy you another. You pooled money to get another. You played badminton instead. Right? Well, that's why movies were never made on you and you did not have an uncle who went invisible! And - most importantly - your neighbour did not work for The Crimes of India. Whenever I hear this sequence now, I can almost imagine the twinkle in Javed Akhtar's eyes as he wrote Na maangoo sona chandi, hum mange maafi didi or Topiwaale, ball dila. Everybody - on-screen and off-screen - was clearly having a ball as Laxmikant Pyarelal's old albums were rummaged to string together a sequence in which a gang of precocious kids (including Aftab Shivdasani and Ahmed Khan), Anil Kapoor and Satish Kaushik pleaded with Sridevi to return their football. The southern siren - about to become Hawa Hawaii in the film - returned their entreaties with high dose of creativity and energy! A medley must have a theme - be it an antakshari, introduction or begging (see above). And it must serve a purpose - be it saying 'I Love you', getting diabetes or a football (see above). The medley in Lamhe - Yash Chopra's best film that did the worst at the box-office - did not have a theme but had a vague motive. Sridevi and Anupam Kher were trying to make the ultra-serious Anil Kapoor laugh and they did so by singing Hindi film songs because the NRI was apparently fond of them (as are half the world and their landlords). So, you had Pamela Chopra and Sudesh Bhonsle doing the female and male voices, the former doing an okay job while the latter brought the house down with his mimicry of Hemanta, Mukesh, Rafi and most notably - SD Burman. I remember laughing my guts out as Sudesh Bhonsle sang O majhi, mere saajan hain uss paar and Anupam Kher floated around in a swimming pool. Towards the end of the medley, the duo was joined by Waheeda Rehman doing a brilliant reprise of her Guide dance (Kaanton se khnichke yeh aanchal) and it ended reasonably satisfactorily. Only if Sridevi danced to the Ta thaiya ta thaiya song! How do you brag to your friends on how great a time you had with a babe? If you are DU student? 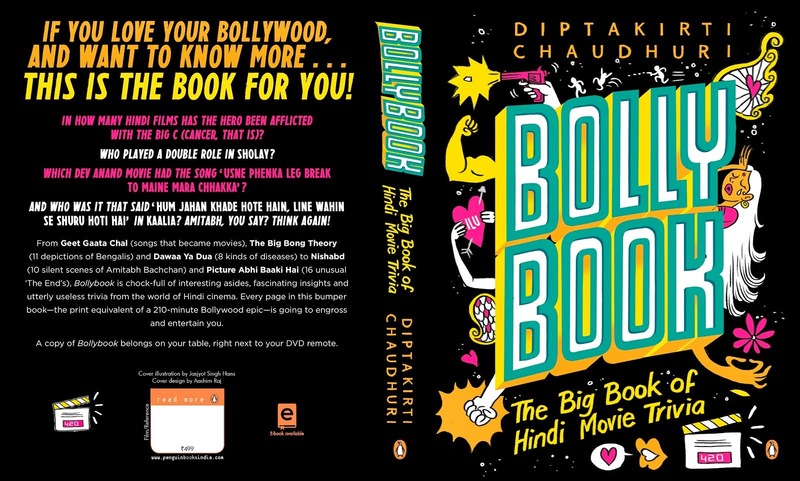 If your father is a small-time producer of Hindi films? And if you never really had a great time but only had to make things up? Ravi Baswani shows you how. Rather violently ejected from Deepti Naval's house by her karate-expert brother, he passed three hours in a cinema hall after getting bandaged at a clinic. And then, went back home to tell his room-mates the beautiful songs they sang from Dev Anand to Feroze Khan, from Meena Kumari to Asha Parekh. 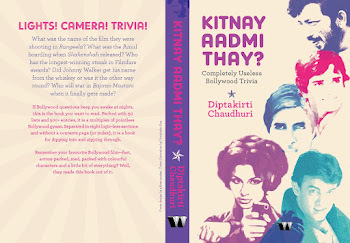 The hilarity gets compounded manifold as you see Ravi Baswani doing the Dev Anand swagger (Chhod do aanchal zamana kya kahega), the Dilip Kumar scowl (Pyar kiya to darna kya), the Feroze Khan shrug (Aap jaisa koi) and the Sunil Dutt sway in front of a piano! Helpfully enough, the screens changed from colour to B&W to sepia as the songs merged from one to the other. Oh - but how did he explain the bandages? Simple. He got injured fighting goons while his lady love sang Logon, na maaron isse, yeh to mera mehboob hain! In medleys, boys do spoofs. Men do real songs. Naseer Hussain never did teeny-bopper romances without at least one musical face-off between the two leads. And for that, he needed a rockstar composer. He had Anand-Milind in Qayamat Se Qayamat Tak, which did not have a medley. He got Jatin-Lalit for Jo Jeeta Wohi Sikandar and colleges jived to the medley. But I am getting ahead of myself. Manjeet (Rishi Kapoor) - who came all the way from London - out-sang and out-danced several sissy competitors as his girlfriend (Kaajal Kiran) simpered coyly in the first row. Just when the judges gave just 15 seconds for the next competitor to turn up, Tariq Hussain strummed his way on to the stage and sang Chaand mera dil, chandni ho tum. And what a contest it turned out to be! An unknown female in tight and sleeveless clothing ran on to the stage to give Tariq (musical) support. Kaajal Kiran commandeered her bevy of bimbette friends behind Rishi. Guitars, trumpets, white shoes, bandannas, RD Burman's voice were all called into action as the two maharathis sang to our heart's content and the whole thing stopped only because a heartbroken Tariq conceded the contest. Why? See the sequence, no? When Rajput and Queen's combine forces to participate in a college musical competition, can pajama chhap Model School ever hope to defeat them? Never. Not even if Model's star performer is one Sanjay Lal Sharma. Probably one of the best college films ever made, JJWS just rocked the scene with amazing music, brilliant acting performances and an achey-breaky-love-story borrowed from Archie Comics. And to build momentum for the climax, the first set-piece was the inter-college music competition featuring three separate songs performed by the three main colleges. Xavier's + Anne's performed a peppy youthy number, Hum se hain saara jahan. Rajput + Queen's performed a hip, pseudo-Goa number - Naam hain mera Fonseca. And the underdog Model came up with Jawaan ho yaaron, yeh tumko hua kya? Naturally, the best song was the last (but only just!) and even more naturally, the snooty judges gave the winning scores to the snootier Rajput. I still remember the gasp my sister gave when one judge reduced his score for Model School. And if you think this was exciting, then you haven't seen the climax! Tragic Update: I could not find the complete medley anywhere on Youtube. So, linking only the Aamir Khan song. Would be grateful if someone locates the full thingie. Ahem... don't miss very cool nominee list of Indibloggies 2008. 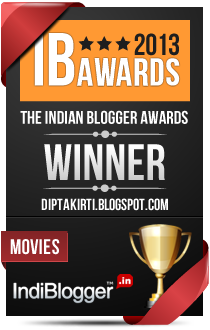 Thanks to the very gracious offices of Priya Venkateshan, Calcutta Chromosome has been nominated in two categories - Most Humourous Indiblog and Best Entertainment Indiblog. Just looking at the other nominees is enough to make me feel delirious!